Are you looking for the best optic for Scar 17? Then you’ve come to the right place! 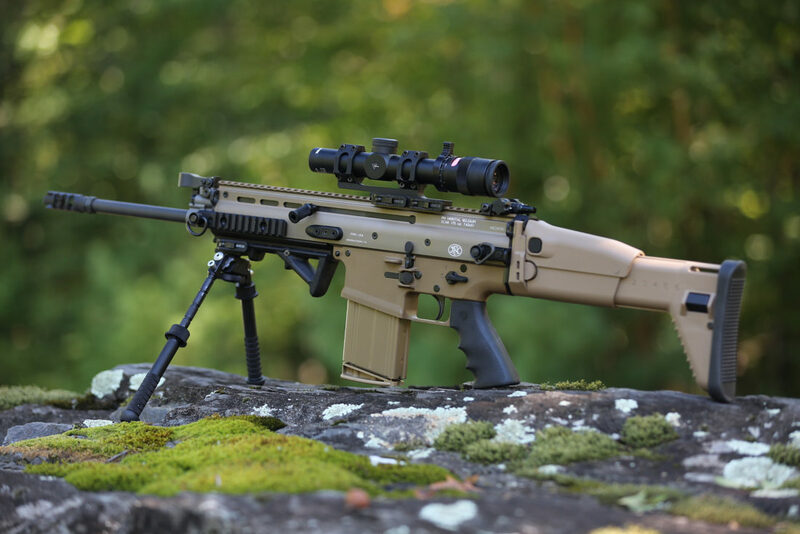 The FN SCAR 17 was designed to win the United States Special Operations Command competition. 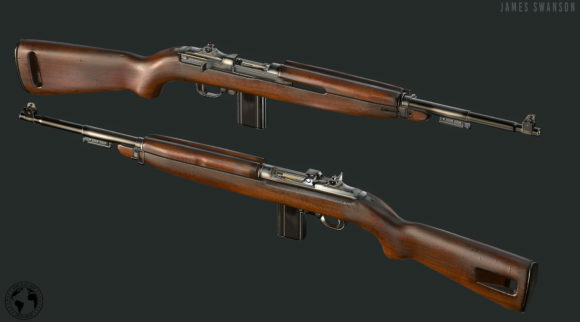 Although acquisition for the SCAR was ultimately cancelled, it did find some success in special operations units and was made in to a semi-automatic commercial version. The SCAR 17 is a durable, reliable, and powerful weapon system. When looking for an optic to mount on your SCAR 17, you should consider buying one of the optics on the following list. The optics on this list are made by companies who have a reputation for quality. Some of these companies have been making rifle scopes since the beginning of World War II. These scopes can handle the recoil from the heaviest 7.62 rounds and can operate in any environment that you can operate the SCAR 17. There are plenty of options for optics for the SCAR 17, but the optics on this list are simply the best. If you buy quality, you will only have to buy once. These scopes are one-time purchases because they are high quality. Nikon was producing products with quality glass well before the start of World War II. They originally produced optical instruments, but the onset of war changed their history forever. During WWII, Nikon began manufacturing bomb sights, scopes, and other instruments of war. Their quality was second to none and they have continued producing quality scopes for rifles, shotguns, and pistols to this day. There is no questioning why the first scope on our list for the best optic for the SCAR 17 is manufactured by Nikon. The Nikon M-308 is their first 308 specific rifle scope in the M-TACTICAL series. 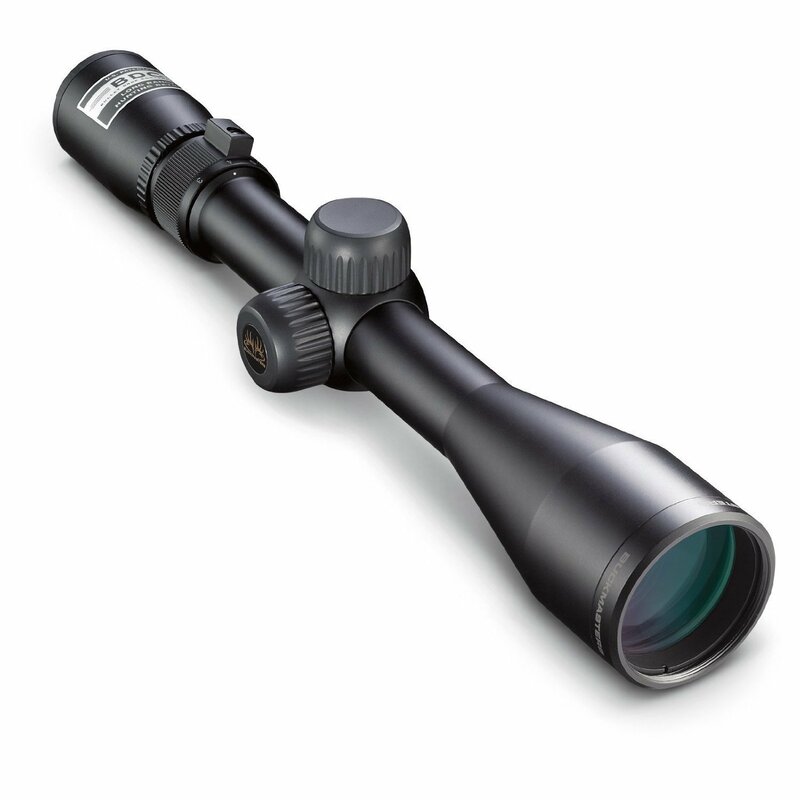 This scope is constructed of aircraft grade aluminum and is Type-III hard coat anodized. It lacks seams and welds so that it is shockproof. This scope was built for heavy recoil and the rugged use that is associated with the SCAR 17. Not only is it shockproof, but it is nitrogen purged and o-ring sealed. The purging paired with the o-ring seal makes it waterproof and fog proof. 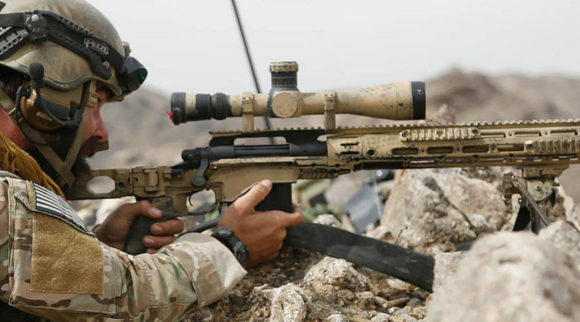 This scope will function in some of the harshest environments. The M-308 features a quick focus eye piece that consists of a smooth turn aluminum ring and a rubberized eye guard. The quick focus eye piece that allows you to make crisp adjustments to focus. Plus, it allows you to acquire your target very quickly. In addition, this scope features a side mounted parallax focus adjustment knob that will help you focus the reticle no matter what firing position you find yourself in. The Nikon M-308 has a 30-mm tube. This is a common tube size so finding scope rings that fit this and your SCAR 17 will not be difficult. The M-308 is not the heaviest scope on this list, but it is hefty. It weighs in at 20.6 ounces. It has an overall length of 13.6 inches, but with the amount of rail space on a SCAR 17, you will not have a problem positioning it on your rifle for a comfortable cheek weld and sight picture. The M-308 offers a generous eye relief ranging from 3.7 to 4 inches. The scope’s field of view at 4x magnification is 25.2 feet at 100 yards and at 16x magnification is 6.3 feet at the same distance. A good field of view is important, but if the lens is not clear, you will not be able to find your target. Luckily, Nikon started out making quality glass lenses and they have not stopped. The M-308 features a fully multi-coated optical system. This system provides superior light transmission and maximum brightness from dawn to dusk. You should be able to easily find your target right up until the sun sets. The M-308 utilizes Nikon’s patented BDC reticle. The BDC’s unique see-through ballistic circles offer an incredible advantage for long range shooting while allowing a normal sight picture for short-range shots where the cross hair itself is the aiming point. The M-308’s BDC reticle is Nikon’s BDC 800. It has several more circles than their other BDC reticles due to the caliber’s extended ranges. No matter what 7.62 caliber ammunition you use in your SCAR 17, you can use Nikon’s SPOT ON app to provide precise aiming points at any specified range using the BDC 800 reticle. You simply input the ammunition and the SPOT ON app will generate a range per circle on the BDC reticle. The M-308 allows you to make quick adjustments to windage and elevation using exposed tactical style turrets. The turrets are spring-loaded windage and elevation knobs and can be reset to your zero after you sight in your scope. The windage and elevation turrets are clearly marked for quick adjustments. They can be adjusted in ¼ MOA and have a maximum windage and elevation adjustment of 40 MOA in either direction. The Nikon M-308 4-16×42 BDC 800 is the best optic for the SCAR 17. It is as rugged and dependable as the rifle itself. The next scope on the list is manufactured by a company that is still new compared to other companies on this list. Even though they are newer to the scope market, they produce quality products and find themselves second on the list for best optic for SCAR 17. Vortex Optics has only been manufacturing scopes since 2002. Compared to the other companies on this list, they could be considered in their infancy. Even though they have been making scopes for just over a decade, their products are quickly becoming the go-to optic for war fighters and hunters alike. Vortex continues to innovate and lead the market in new ideas and technologies. 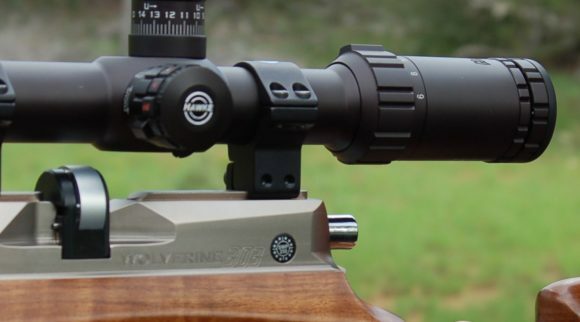 Much like the SCAR being one of a kind, the same can be said about the Vortex HST riflescope. The Vortex Viper HST is machined from one piece of aircraft grade aluminum. It is shockproof and features a hard-anodized finish. Like the Nikon M-308, it has a side mounted parallax adjustment knob and a fast focus eye piece. These features allow you to get on and stay on target even when transitioning from shooting positions or postures. The Viper HST is argon purged and o-ring sealed, making it waterproof and fog proof. This scope can go anywhere your SCAR can go and it will function flawlessly. You will not need to worry about the dependability of your scope when you are out in the field training or executing real life missions. The Viper HST features a 30-mm tube. Much like the M-308, you will not need to special order any rings or mounts as 30-mm rings and mounts are quite prevalent. The Viper HST is nearly identical to the M-308 in terms of length and weight. The Viper HST weighs 20.8 ounces and has an overall length of 13.7 inches. This scope has a constant eye relief of 4 inches so you can mount the scope with a good cheek weld and never have to adjust your head when you change magnification. This is important when having to transition between targets at various ranges, you can simply put the rifle where you want it and only adjust the scope. Getting on target quickly could mean the difference between winning or losing a competition. Even though the Viper HST and the M-308 have the same magnification powers, the larger objective on the Viper gives you a better field of view. At 4x magnification, you can see 27.4 feet at 100 yards and at 16x magnification you can see 7.4 feet at the same distance. When buying a scope, the glass lenses matter quite a bit. Vortex knows this and has done a lot of work to make sure their glass is clear. The Viper HST uses trademarked XD lens elements. The extra-low dispersion (XD) glass increases resolution and color fidelity, resulting in crisp, sharp images. This is important in environments when you need to distinguish your target amongst many other objects. The Viper’s glass is XR fully multi-coated. These coatings are proprietary coatings that increase light transmission. The lenses feature multiple anti-reflective coatings on all air-to-glass surfaces. The last thing Vortex does to make their glass the best in their class is to add an ArmorTek coating. This coating is an ultra-hard, scratch-resistant coating that protects exterior lenses from scratches, oil and dirt. As you can see, Vortex wants to make sure your glass is clear and protected from the elements. Clear glass equates to clear shots. The Viper HST uses Vortex’s patented VMR 1 MOA reticle. This reticle is a hash-mark based reticle that is located on the second focal plane. The hash marks allow you to determine accurate holds at extended ranges. You will need to determine the drop over distance of your 7.62 ammunition and use the hash marks to determine what hold you should use at what distance your target is located. It will take some time to familiarize yourself with the reticle. Once you have become familiar with the reticle, you will be able to hit your target no matter the distance or wind speed. The Vortex Viper HST utilizes exposed tactical turrets. These turrets provide fast, accurate, and easy to read elevation and windage markings. The turrets have Vortex’s patented CRS zero stop technology. The Customizable Rotational Stop allows you to easily return to your zero after dialing in any temporary elevation corrections. Each turret features a Radius bar which is a fiber optic indicator and allows a constant point of reference for turret rotations. The turrets can be adjusted in ¼ MOA increments can be adjusted 75 MOA in either direction for windage and elevation. 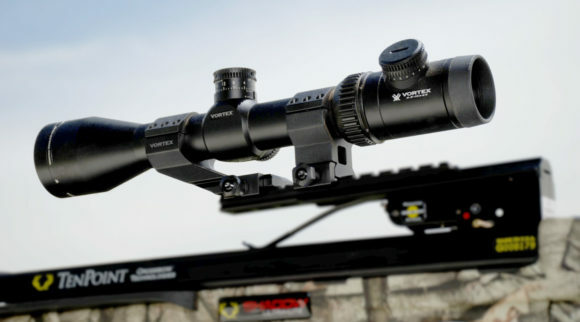 The Vortex Viper HST is backed by Vortex’s Very Important Promise (VIP) warranty. The VIP warranty will repair or replace your scope in the event it becomes damaged or defective—at no charge to you. 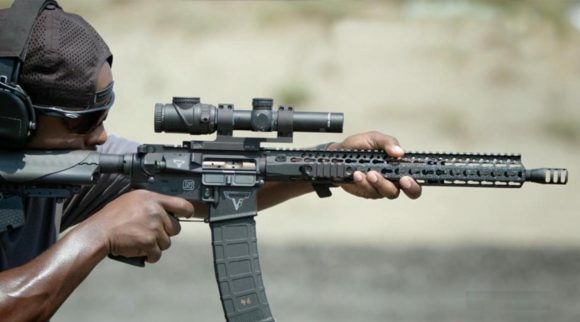 The next scope on the list of best optics for the SCAR 17 is manufactured by a company that has a long history of making quality hunting scopes. They have recently begun making top notch tactical scopes that match the quality of their venerable hunting scopes. Leupold began manufacturing surveying equipment in 1907. They did not produce their first rifle scope until the 1940s. 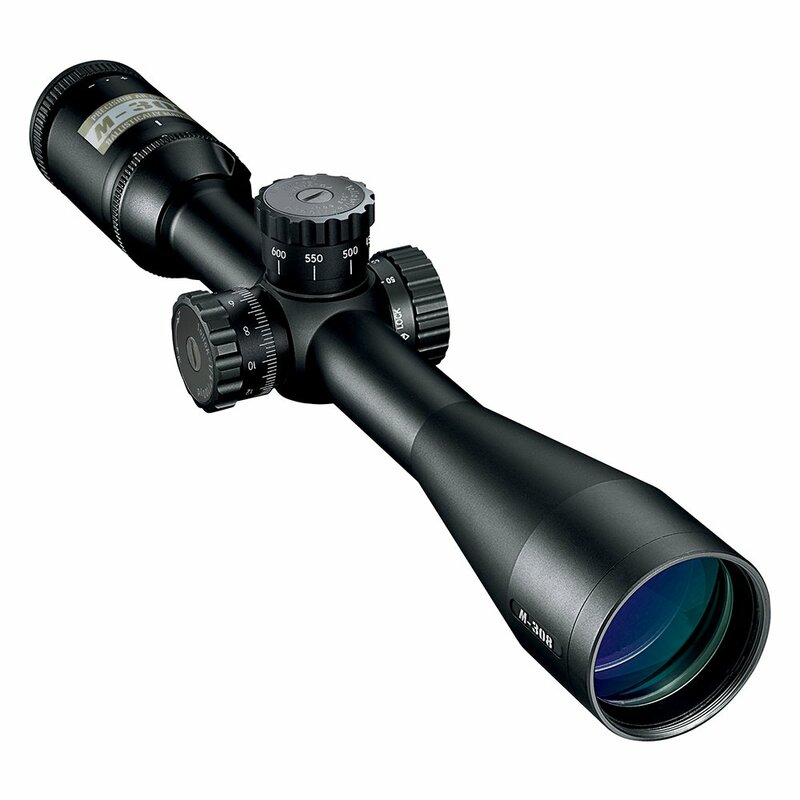 Leupold is widely known and respected as a hunting scope manufacturer. 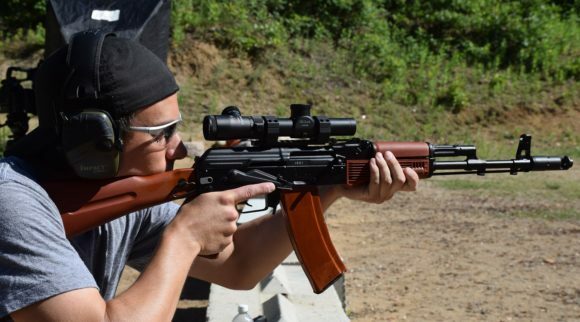 They have maintained that reputation through the difficult process of manufacturing tactical scopes and accessories. Your SCAR 17 will stand out from the crowd when you mount the iconic Leupold scope with its signature gold ring. The Leupold VX-3i is constructed using 6061-T6 aluminum that has been hard-coat anodized. Unlike the other scopes, Leupold purges their optics with two gasses. This allows them to be even more resilient to temperature changes. Leupold purged the VX-3i with argon and krypton gases. They also used o-ring seals to make this scope waterproof and fog proof. If you are using this scope in the cold Alaska wilderness or the hot savannas of Africa, it will not be adversely affected by weather changes. Much like the SCAR it is mounted on, the VX-3i can be counted on to perform in ever changing environments. The VX-3i features a 1-inch tube. One-inch scope rings and mounts are readily available at nearly any outdoor or tactical retailer. It is shorter and much lighter than the two previous scopes. It has an overall length of 12.6 inches and weighs only 12.6 ounces. The VX-3i offers some of the longest eye relief of any scope on this list. At the lowest magnification the eye relief is 3.6 inches and at the most powerful magnification it is 4.4 inches. The long eye relief allows you to fire even the heaviest recoiling 7.62 rounds without fear of hitting your scope. Several factors play in to the field of view on the VX-3i. It has a smaller objective lens than the previous two scopes and has lower magnification powers as well. The reason this Leupold scope is not higher on the list is the combination of these two things. At 3.5x magnification, you can see 29.8 feet at 100 yards. At 10x magnification, you can see 11 feet at the same distance. You may be able to see more ground at its highest magnification, but the other scopes have more powerful magnification to see further than you can with the VX-3i. Leupold takes great pride in the quality of their glass. They have a trademarked treatment that will help any shooter see their target clearly. Exterior lens surfaces are treated with DiamondCoat 2™, an ion-assist lens coating, for higher light transmission and the greatest level of abrasion resistance currently on the market. This coating has the additional advantage of assisting in light transmission. Light transmission is necessary for greater brightness, clarity and contrast. Another aspect of their glass that Leupold designed is the Twilight Max Light Management System. Leupold believes this system will add 20 minutes of shooting light, eliminate more glare than their competitors, and give premium edge-to-edge lens clarity. On the VX-3i’s glass is a simple duplex reticle. It is designed to stand out against any foliage cover. It allows quick target acquisition with crosshairs that are thinner in the center. The duplex reticle is the most used reticle on the planet. If you are comfortable using the duplex reticle and are just wanting to upgrade your scope, the VX-3i is the perfect scope for you. The VX-3i features capped turrets. Leupold does offer you the opportunity to buy caliber specific turrets that can replace the stock turrets on the VX-3i. The stock turrets can be adjusted in ¼ MOA increments and have a maximum windage and elevation adjustment of 52 MOA in either direction. 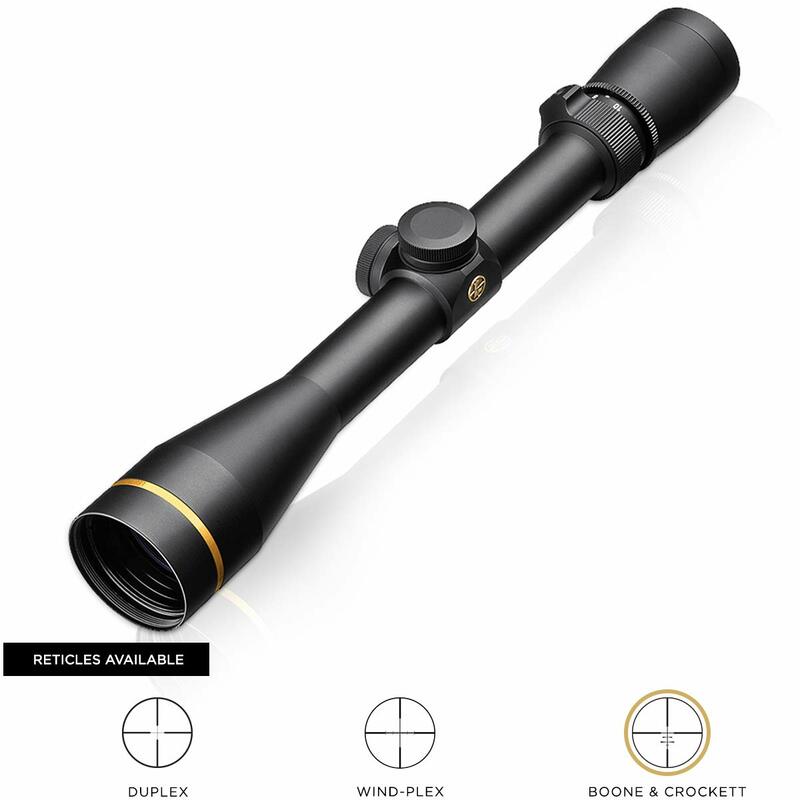 This Leupold scope is backed by the Leupold Gold Ring Warranty. Leupold will repair or replace your scope for free even if you are not the original owner. There are very few things that separate the VX-3i from the previous two optics, but this scope has found itself third on the list for best optic for the SCAR 17. The next scope on our list was made by a company that was born in the ruin of war. This German based company has built themselves up quickly and has begun absorbing other optic manufacturers. The Steiner company was founded in Germany during 1947. Due to the collapse of the German economy, Steiner started as a one-man operation. Steiner began making binoculars and that was their strong suit for many years. It was not until 2011 that they made their first riflescope. They continue to make riflescopes and binoculars, but have expanded in to making laser and night vision equipment. 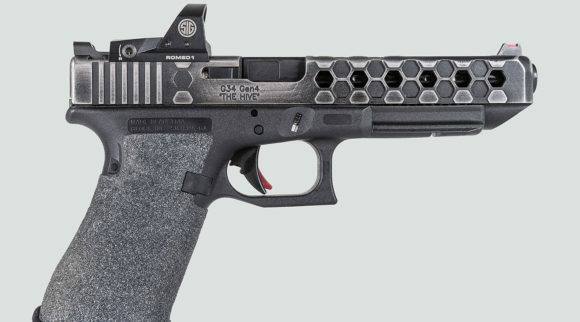 The Steiner GS3 is milled from a solid piece of aluminum. There are no welds or seams that could cause a weak spot. Like many other scopes, it is purged with nitrogen and o-ring sealed. The GS3 is waterproof and fog proof. An interesting feature of the GS3 is that it only requires 5.4 inches of rail space in order to be mounted to your rifle. The SCAR 17 has more than enough space to mount the GS3, but other rifles you own may not. The GS3 has a 30-mm tube. 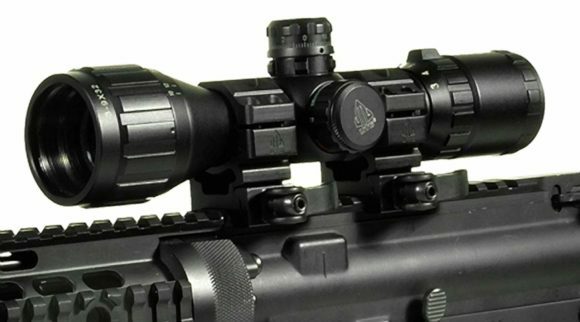 As stated earlier in this article, 30-mm mounting systems and rings can be found nearly anywhere that sells optics. The GS3’s overall length is 15 inches and it weighs 25.1 ounces. It is the heaviest scope on this list by approximately 4 ounces. 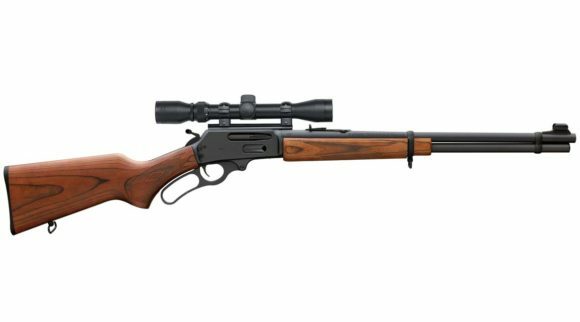 The weight may be a deterrent to those who carry their rifles long distances, but to a bench shooter, it may not be a deal breaker. The GS3 does have a decent amount of eye relief. It offers an eye relief of 3.5 to 4.3 inches depending on the magnification setting. The GS3 does have the largest objective lens of any scope on this list. The larger lens does equate to better eye relief than the Viper HST and M-308. At 3x magnification, you can see 36 feet at 100 yards. At 15x magnification, you can see 7.5 feet at the same distance. Steiner developed a glass coating that they used to protect the large lenses of their binoculars. They have applied this coating to their rifle scopes. Steiner’s patented Nano Protection is a hydrophobic molecular coating that creates a lens surface so smooth water sheds off. Plus, dirt, dust, snow and fingerprints are repelled for easy cleaning and a clear view. Another step that Steiner takes to improve their glass is known as Color Adjusted Transmission (CAT). CAT amplifies contrast so that it reaches the peak human vision sensitivity range. This will help spot game or your target in any environment. The GS3 uses the Steiner Plex S1 reticle. This reticle features hashmarks for estimating distance and cascading lines and dots to help compensate for any wind. The reticle is not as complicated as some of the others on this list so you should be able to understand it rather quickly. The Steiner GS3 features capped turrets. The turrets are easily adjustable and can be quickly reset to your zero after making any adjustments. When zeroing, you can adjust the windage and elevation in ¼ MOA increments. The turrets have a maximum windage and elevation adjustment of 70 MOA in either direction. The GS3 is backed by a Steiner’s Heritage Warranty. Steiner will repair or replace any defective products over the lifetime of that product. The next scope on the list of best optics for the SCAR 17 is produced by the same company that manufactured the first scope on this list. Nikon’s history was covered earlier in this article. The M-308 occupies the top spot on this list, but the Buckmaster II is not far behind. The Buckmaster II maintains the quality of Nikon scopes while managing to be multipurpose and reliable. 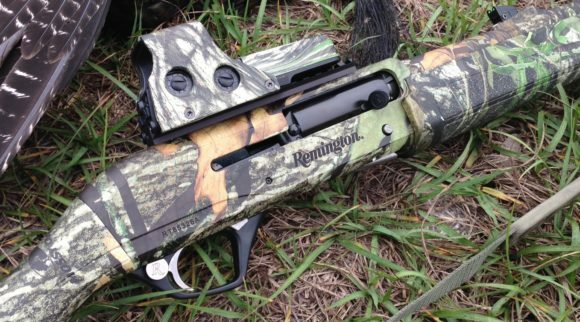 The Buckmaster II is constructed using one piece of aircraft grade aluminum. This scope, like most others on this list, is nitrogen purged and o-ring sealed. Like the others, it is waterproof and fog proof. This scope is designed to be used on long range hunts or on tactical missions in an urban environment. 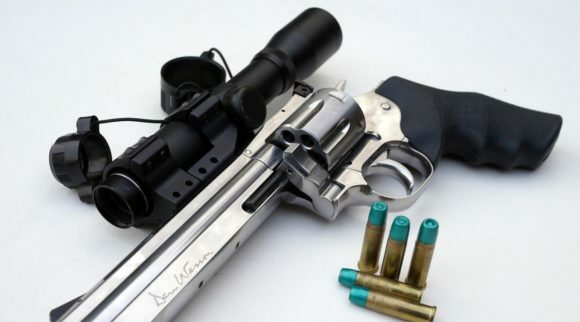 It is durable and reliable just like the rifle it is mounted on. The Buckmaster II features a 1-inch tube so rings and mounts are going to be readily available for purchase. This scope is the shortest scope on the list at only 12.3 inches in length. Weighing only 13.1 ounces, the Buckmaster II is one of the most compact and lightest scopes on this list. The Buckmaster II has a constant eye relief of 3.6 inches which gives the shooter a big advantage when transitioning between targets at different distances. This scope does have less magnification than any other scope on this list which leads it to having the best field of view. At the 3x magnification setting, you can see 33.8 feet at 100 yards. At 9x magnification, you can see 11.3 feet at the same distance. The Buckmaster II uses a similar BDC reticle to the M-308. Unlike the M-308 it is a BDC 600 reticle. This BDC reticle is not specific to the 7.62 caliber round, it can be used for any caliber ammunition that you choose to use. Like M-308 this reticle can be used in conjunction with Nikon’s SPOT ON app to determine distances for each mark on the reticle. The glass of the Buckmaster II has multiple layers of anti-reflective compounds on every glass surface. This provides bright, vivid pictures and optimum light transmission. 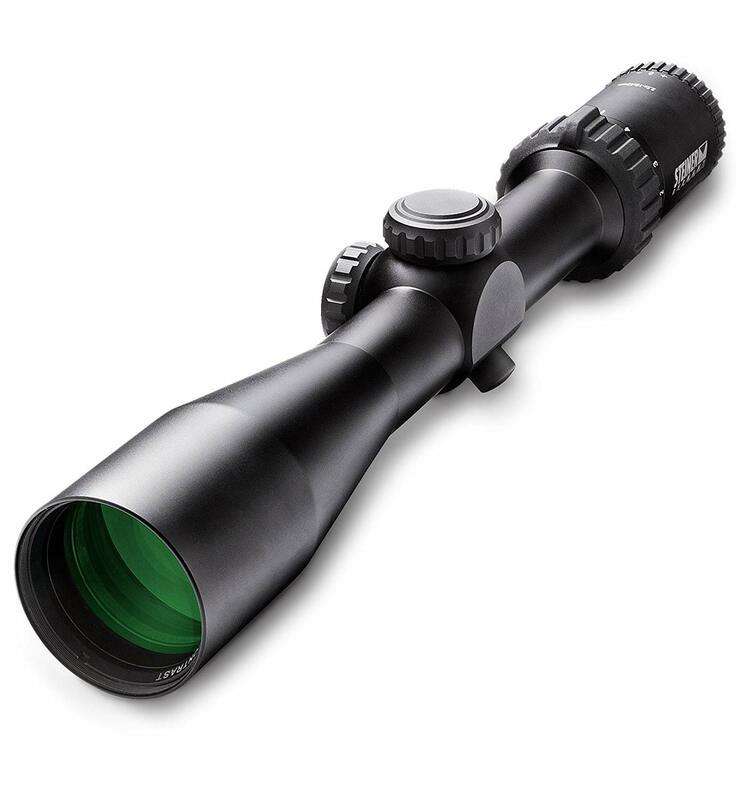 This scope can be used at dawn or dusk without compromising your shooting ability. 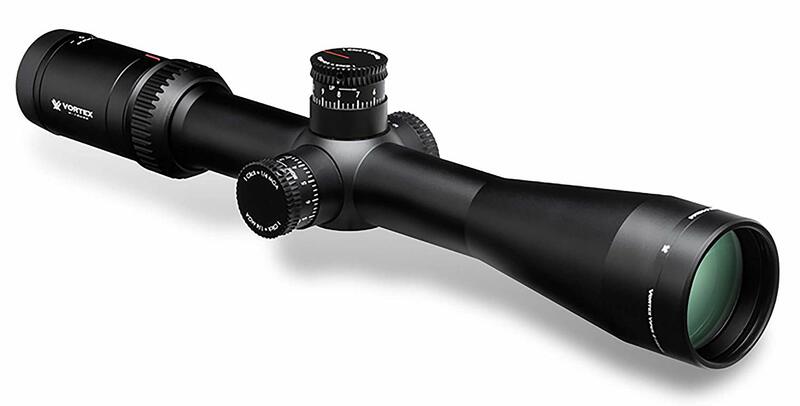 This scope features capped turrets to protect your zero when moving through dense foliage. The positive-click reticle adjustments will help you get zeroed quicker and maintain your setting. The turrets can be adjusted in ¼ MOA increments and have a maximum adjustment distance of 80 MOA in either direction. The Buckmaster II is backed by Nikon’s No Fault Policy that will repair or replace a defective optic during its lifetime. Although there are only five scopes on the list for best optic for a SCAR 17, there is a scope on the list that is perfect for you. Each scope will come with the option to add accessories such as lens covers, sun shades, and many other things. All of these things should be taken in to consideration when you go to purchase your next optic. Whether you are an avid hunter, target shooter, or someone that works in a tactical environment, you would do well to buy one of these scopes. Whatever scope you buy, it will be durable and reliable. You can trust any scope on this list just as much as you trust your reliable SCAR 17.